The basic responsibility of a GEMS volunteer is to develop a loving, nurturing relationship with girls in her club and to point them closer to Jesus. There are a variety of roles to fill in a GEMS Club! The primary volunteer role is a Counselor. Counselors develop a mentoring relationship with six to eight girls in a small group setting to point them closer to Jesus. Through large group activities, small group Bible lessons, and fun crafts and games, Counselors have the opportunity to model what it means to live a faithful life for Christ. Clubs may also need leaders to help lead worship, give object lessons and devotionals, plan and direct crafts and snacks, and pray for and with the girls. Counselors might share these roles, or a woman may feel called solely to use her gift of crafts or worship! However you serve in club, your role is valuable and you have the opportunity to shape a girl’s life for Christ. Club Co-Coordinator: Supports, or is a team with, the Club Coordinator in organizing and leading the club based on individual gifts and calling. Communication as co-coordinators is key. 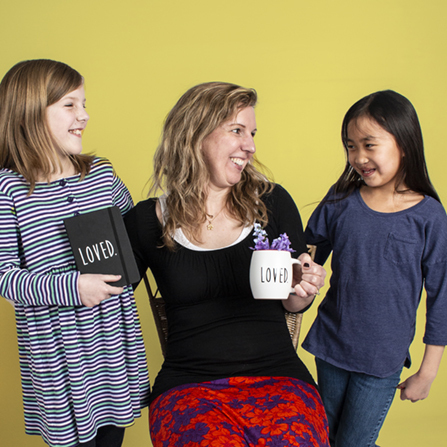 Counselor (required): Is the primary mentor for a group of 6-8 girls, leading small group time. Worship Leader: Selects songs for each week and leads worship and/or devotional at beginning of club. Craft Leader: Plans and prepares crafts for club night and directs girls through the crafts. Prayer Partner: Commits to praying for leaders and girls in club, and may be available to pray with and for girls during club.